Wow, what a journey it has been. After 2 years of hard work, we were finally able to return to the home of Save A Smile: Kalibo, Philippines. 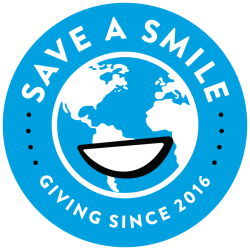 First, Save A Smile wants to thank you for all of your support and donations! We were able to visit 4 out of the 5 stations this past summer. All of the stations are up and running with no problems! Seeing the children so engaged and practicing healthy toothbrushing and handwashing was so heartwarming. It is all of these amazing children who will be the leaders of a dental health movement. With the skills, they are learning at a Save A Smile station they will be able to pass them on to their friends, families, and children to come. The beauty of it all is when we are long gone, Save A Smile stations remain. Each new class will be able to practice healthy habits. This is why we do what we do. Save a smile, change a life. Previous PostLegazpi Station is Up and Running Next PostWhat’s Better Than Saving Smiles and Saving the Environment? ?